Home→Brags and News→Denmel has a new puppy! ← Thank you to all who supported my ADPC Calendar! Denmel has a new puppy! 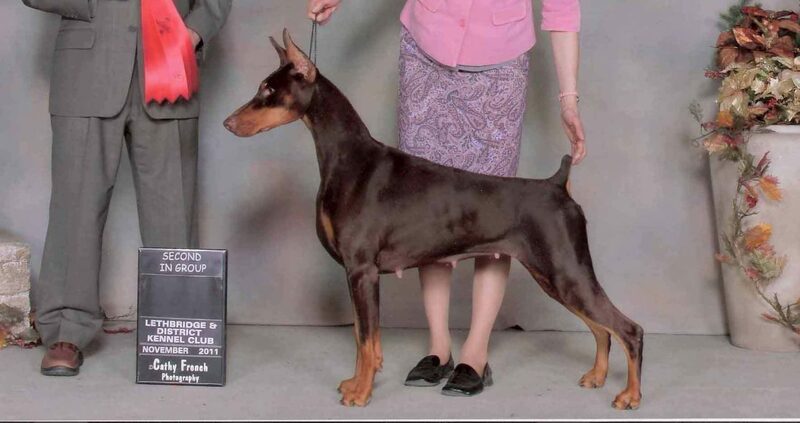 We welcome “Ladybug” Supernova Freakshow (Am Ch Tiburon Arsenal “Gunner” x Can Ch Supernova Smart Alec Denmel “Sansa”) to the Denmel fold! This lovely red girl now lives with my son and granddaughter, and we hope she will become part of our breeding program later. She was 8 months old when she came to us and is such an absolute sweetheart, with tons of bone and substance. We will post updates later when she is more used to her new home.